Please read the following page, the link to the application form below and is at the bottom of the page. FOTA will sanction continuing education course and contact hours. FOTA Sanctioning is defined as FOTA approved and/or endorsed courses, intended for licensed Occupational Therapists and Occupational Therapy Assistants. The host individual or organization is responsible to provide the certificates of participation to attendees and to maintain documentation for auditing purposes. FOTA is responsible for approving the course on CE Broker through the Florida Board of Occupational Therapy. We publish the approved course on CE Broker and report CE credits for OTs/OTAs on CE Broker, upon course completion. The host individual or organization is required to provide FOTA a roster of attendees and sample certificate. Applicants must complete the online application form from www.flota.org. Applicants must complete this application for approval at least 60 days(no exceptions) in advance of the event. Applicants must submit a resume or curriculum vita for each presenter, brief description of the course, objectives and agenda or schedule of the course with specific times to determine the amount of credits approved. Approval notification will be sent to the applicants within 2 weeks of the completion of the application & complete required documents. FOTA is committed to providing appropriate and quality Occupational Therapy related continuing education opportunities for FOTA members and other allied health professionals. FOTA sanctioned courses are only approved by the Florida Board of Occupational Therapy and if you wish your course to be approved for other disciples, you are responsible for approvals through these boards. FOTA will have a standing Program Committee that will be overseen by a Program Chair and 3 FOTA members appointed by the Executive Board. FOTA, through the Program Committee will try to ensure the quality of speakers and presentations. FOTA will attempt to offer continuing education opportunities at Forum meetings, online. Other continuing education opportunities will be offered as appropriate. FOTA will sanction speakers and presentations on an event-by-event basis. FOTA may solely sponsor or co-sponsor continuing education opportunities. FOTA will provide the necessary documentation of continuing education courses, as required by the Florida Board of Occupational Therapy Practice Act. FOTA will maintain records for 4 years of speakers/presentations, attendance rolls and course evaluations. 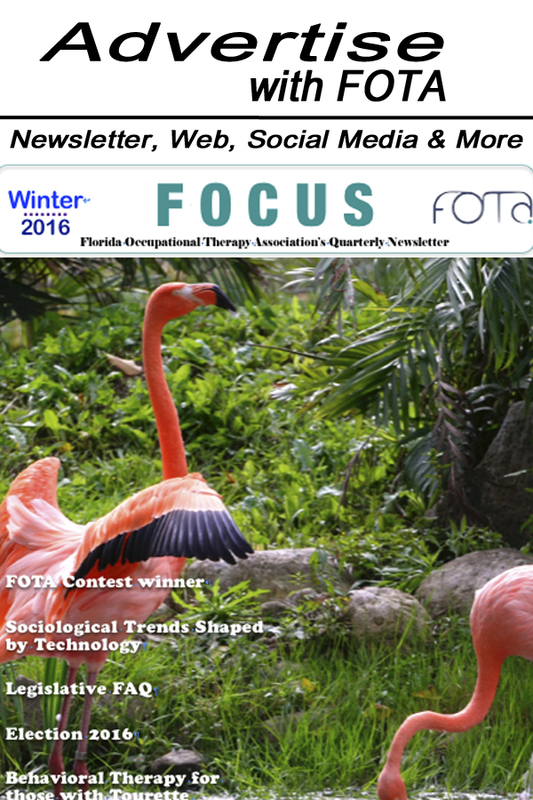 FOTA will provide courtesy rosters of attendees, lists of speakers and presentation information to the Florida Board of Occupational Therapy Practice. Participants are more than 5 minutes late or leave 5 minutes early from courses that are 2 hours in duration or less. Participants are more than 15 minutes late or leave 15 minutes early from courses that are greater than 2 hours in duration. Participants do not complete and return a course evaluation form. Approved applicants will submit a roster of attendees within 15 days of the course completion to FOTA electronically. The cost for the sanctioning of each course is $150.00. This will cover a period of one year after initial approval and notification from the Sanctioning Committee. Note: Partial award of continuing education contact hours may be granted for courses with multiple sessions with prior authorization. It is the responsibility of each practitioner to ensure that continuing education course(s) meet(s) his/her needs and the standards of the Florida Board of Occupational Therapy Practice and other Boards. NOTE: The application requires a Curriculum Vitae or Resume from each presenter.